Missing teeth can result in daily inconveniences. You may find it difficult to eat and talk. It may even make you conscious of your smile. With all these hurdles considered, cosmetic problems can actually affect your oral health. Your missing teeth can make an impact on your bite – which isn’t good for your mouth. When your teeth do not form a proper bite, it can affect the alignment of your jaw, leading to a TMJ disorder. TMJ is short for Temporomandibular Joint. Problems with your jaw joint or TMJ can lead to pain and swelling in your jaw. The pain can radiate to your head, neck, and throat. It can also cause problems with you shoulders, causing you discomfort on a daily basis. 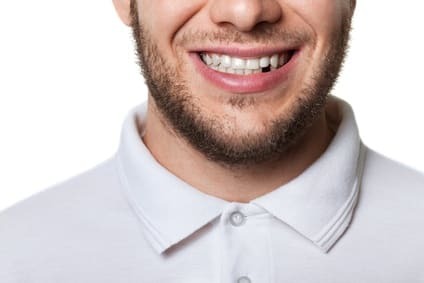 To prevent future problems and feel better about your appearance, you can do something about your bite and avoid TMJ disorder. From bridges to crowns and veneers, there are many alternatives to restore your mouth. Dental implants are one of the most popular solutions. Dental implants offer the most permanent, durable, and natural looking option for missing teeth. Here’s how they work. It begins with the implantation of a titanium post into the jaw bone. Once the post fuses to the jaw bone and completely heals, an artificial tooth gets attached to the post. This is also referred to as a crown. We will take molds of your teeth to form an artificial tooth that’s a realistic match to the rest of your teeth. This ensures that the color and appearance is the right fit. With proper care, your dental implant can be a lifelong solution for a missing tooth. It is a viable option when you are missing more than one tooth as well. Continue to follow proper oral hygiene and make regular dentist appointments. For long term care, make sure to avoid anything that could damage your dental implants. A dental implant is the closest thing you will have to a real tooth. It’s durable and natural in appearance. Its permanence and aesthetic appeal make dental implants a top pick for many of our patients. Along with dentures, tooth implants are realistic and provide satisfying results. If you want to flash those pearly whites with confidence and get rid of gaps, make an appointment with All Smiles Care. Set up a complimentary consultation with us to discuss dental implants. You’ll be able to find out if this is the best option for you.